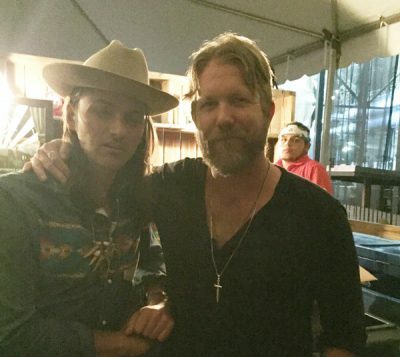 Duane Betts and Devon Allman, sons of rock legends Dickey Betts and Gregg Allman, performed at the 2017 Peach Festival Tribute to Butch Trucks and Gregg Allman in Scranton, Pennsylvania this past weekend. The tribute was organized by Allman Brother keyboardist, Chuck Leavell, who has been touring with the Rolling Stones for the past 30+ years. The lineup for the tribute included members and alumni of both the Allman Brothers and Gregg Allman bands- Oteil Burbridge, Jaimoe, Marc Quinones, Jack Pearson, Bruce Katz, Scott Sharrard, Peter Levin Warren Haynes, and Chuck Leavell. But the highlight was the musical lineage of the founding ABB members. Devon Allman took the lead with a hauntingly soulful rendition of “One Way Out” and Duane Betts followed with a scorching version of “Jessica”. Also sharing the stage were Butch Truck’s nephew and drummer Duane Trucks, Butch’s son and guitarist Valor Trucks, Berry Oakley’s son and bassist Berry Oakely Jr, and Lamar Williams’ son and vocalist Lamar Williams, Jr. The baton has been passed to the next generation.